Don't expect Airbnb to go public just yet. The short-term real estate marketplace has raised another $850 million in new financing, according to a July 28 filing in Delaware. 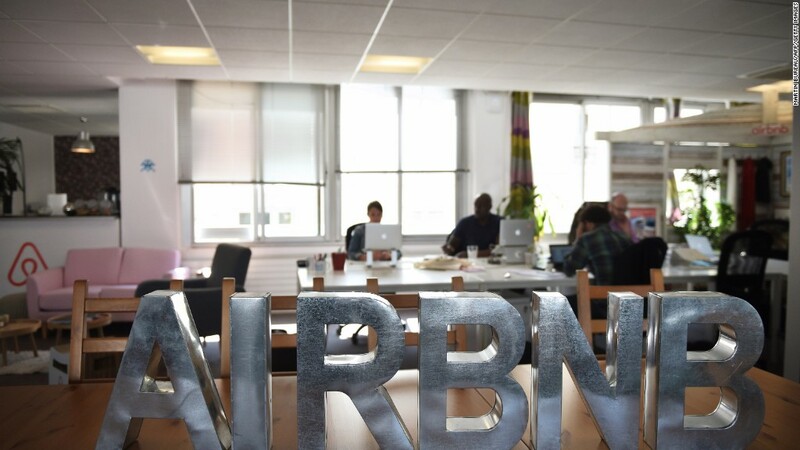 The new round of funding values Airbnb at around $30 billion. That's up $5 billion from just over a year ago. The 29-page document, which private stock market firm Equidate provided to CNNMoney, doesn't disclose which investors participated in the round. Airbnb, founded in 2008, remains among the top four most valuable privately-held companies in the world, behind Uber, Xiaomi and Didi Chuxing, according to CB Insights. PitchBook, a data research firm that tracks venture capital financing, wrote in an email newsletter that the funding is likely opportunistic given that the company has raised roughly $3.4 billion in funding, as well as $1 billion in debt in June. Airbnb declined to comment on the news. Although the community rental company is now in more than 34,000 cities and 191 countries, it's been met with a lot of controversy along the way. Major U.S. cities struggle to handle the surge of short-term rentals made possible by Airbnb, and some have cracked down on the service. For example, San Francisco implemented a new fine where Airbnb and other rental companies will have to pay $1,000 each day for unregistered hosts on their platforms. A host must register with the city before using Airbnb to find renters. Meanwhile, Chicago tacked on a 4% surcharge to short-term rentals and also requires hosts to register units. Other markets, like Seattle and New Orleans, are still determining how to take action. Airbnb CEO and cofounder Brian Chesky has called the company's ability to tackle discrimination its "greatest challenge." Some hosts have come under fire for not renting out spaces to people of certain ethnicities -- a problem the founders didn't forsee as "three white guys" starting the company. In July, Airbnb hired former U.S. Attorney General Eric Holder to help develop anti-discrimination policy.